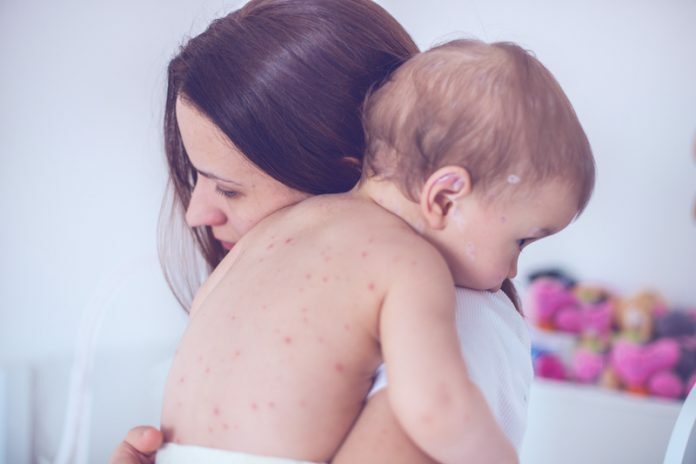 How can you tell the difference between a small allergic reaction, chickenpox, and an outbreak of measles? When your child develops spots on their skin, sometimes it’s impossible for parents to decipher what they are, and why they’ve appeared in the first place. 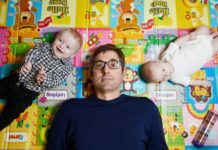 “Any new parent will tell you that spots can make them anxious,” says Jackie Hall, team leader of Healthy at Hand nurses for AXA PPP healthcare. “A rash can give a clue to the type of illness, but other signs and symptoms are just as important in determining how serious an illness may be,” she adds. Measles is a highly infectious, unpleasant viral illness that has some characteristic features to distinguish it from other viruses. Furthermore, it has the potential to cause serious complications. A mass of red spots break out around the neck, behind the ears and face but can appear elsewhere too, including the inside of the mouth. Measles can result in serious complications but, thanks to vaccination programmes, the incidence of outbreaks is low. Contact your GP as soon as possible if you suspect that you or your child has measles. It’s also advised that you phone the surgery ahead of your visit, as they may need to make some arrangements to reduce the risk of spreading the infection to others. 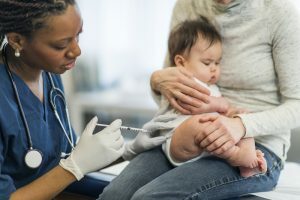 How do I Treat Measles? There’s no specific treatment for measles, but the condition usually improves within seven to 10 days. 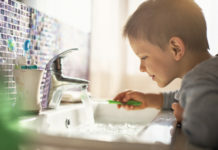 If the symptoms of measles are causing discomfort for you or your child, there are some things you can do to treat these while you wait for your body to fight off the virus. Rest and drink plenty of fluids to avoid dehydration. Paracetamol or ibuprofen can be used to reduce a fever and relieve any aches or pains if you or your child is uncomfortable. (Aspirin should not be given to children under 16). Stay away from work or school for at least four days from when the measles rash first appears to reduce the risk of spreading the infection. It’s important to avoid contact with people who are more vulnerable to the infection, such as young children and pregnant women. You can avoid catching measles by having the measles, mumps and rubella (MMR) vaccine. Measles is unlikely in people who are fully immunised or who have previously contracted the infection. Vaccination with two doses of the MMR vaccine, as indicated by the UK Childhood Immunisation Programme, is thought to provide close to 100% lifelong immunity. At first your child will seem a bit off-colour, they may be off their food and quite lethargic for a few days. We spoke to Dr Stephanie Ooi, GP at MyHealthcare Clinic in London, who took us through the common chicken symptomns and possible treatments. A few, itchy, red, raised spots on the neck, face, chest or back or other body parts will then start to appear. These turn into little fluid-filled blisters, which can be itchy and painful. 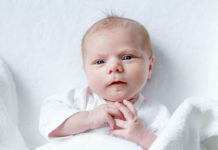 The child can be infectious for several days before spots appear and for five days or more after spots become visible. Why is Chickenpox so Contagious? How Does it Spread? She explains it can be spread through droplets in the air as well as from direct contact. Remember, chickenpox can be spread through contact with objects that have been contaminated with the virus, such as toys, bedding or clothing. You can try and prevent it spreading by cleaning any objects or surfaces with a disinfectant and wash any infected clothing or bedding regularly. How to Treat Chickenpox? Is There a Cure? Chickenpox is usually mild and can be managed from home, and most people feel better within a week or so. However, some people may become more seriously ill and need to see a doctor. There is no “cure” as such. Dr Stephanie reveals: “Most cases are mild and should get better by themselves. There are a few things you can do at home to help. For a fever, painkillers can help, such as paracetamol. Ibuprofen shouldn’t be given to children with chickenpox as it can make them very ill and do not give aspirin to children under 16. Always read the packet or leaflet that comes with the medicine to check it’s suitable and how much to take. Speak to a pharmacist or your GP if you’re unsure. You can buy topical preparations to apply directly onto the rash or administer an oral antihistamine to help reduce itching and soothe the skin– some antihistamines are not suitable for young children, so check with your pharmacist first. An antiviral medicine called Aciclovir may be recommended if there is a risk of severe chickenpox, and you already have symptoms. “There is also a chickenpox vaccine available but this is a preventative option rather than a treatment,” Dr Stephanie explains. What are the Best Ways to Soothe Chickenpox in Babies and Toddlers? Paracetamol can be given for a temperature or if it seems like the spots are causing discomfort. Keep nails short and consider socks over their hands at night. Plenty of fluids. They might not feel like eating much so ensuring they stay well hydrated is important. Cotton clothing can make them feel a bit more comfortable. PoxClin mousse is easy to apply and can help to prevent further skin infection. Calamine lotion is a bit messier and tends to dry the skin out. Pat the skin dry after a bath (rather than rubbing). 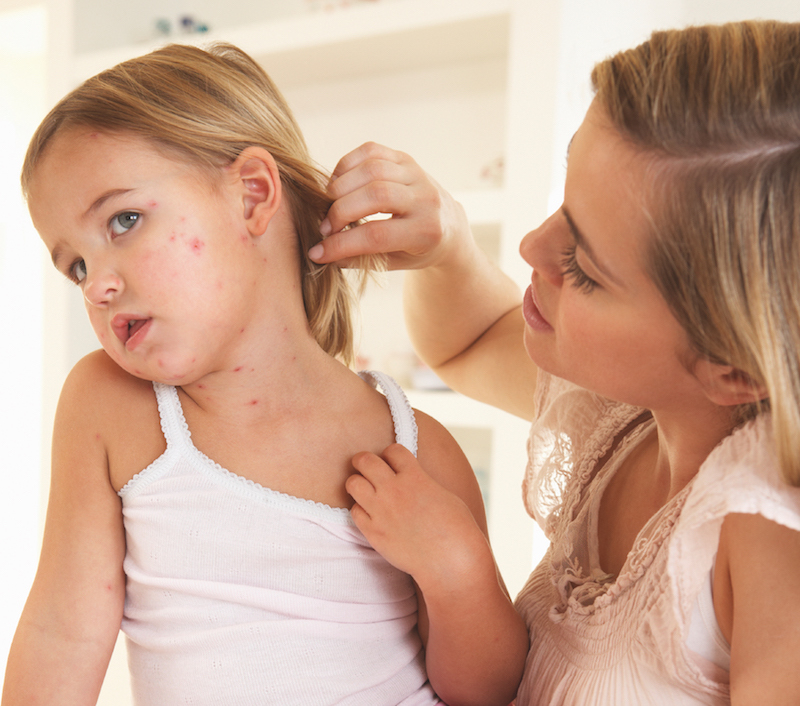 Is it Better for Children to Have Chickenpox Early On? In general, the symptoms are worse in adults so it is better if they catch it when they are little. Sometimes people throw chickenpox parties – this is something I wouldn’t advise however as children can become quite unwell in some cases. Has my Child had an Allergic Reaction? Allergic wheals are blistery, reddish, raised blotches on the skin that can appear rapidly on different parts of the body. They tend to be itchy and are usually due to exposure to an allergen, such as animal hair and dander, grasses or foods and additives. Antihistamines such as Piriton can be helpful in reducing symptoms and progression. Most often the rash settles quickly over 24 hours, but if there is associated swelling of the face, lips or any breathing problems, call 999.